2013 Season – It’s a Wrap! 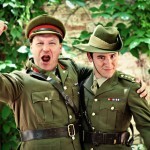 Tickets On Sale: Tickets are now available for the 2012 Shakespeare In The Park Season. To find out more about pricing and show times click here.